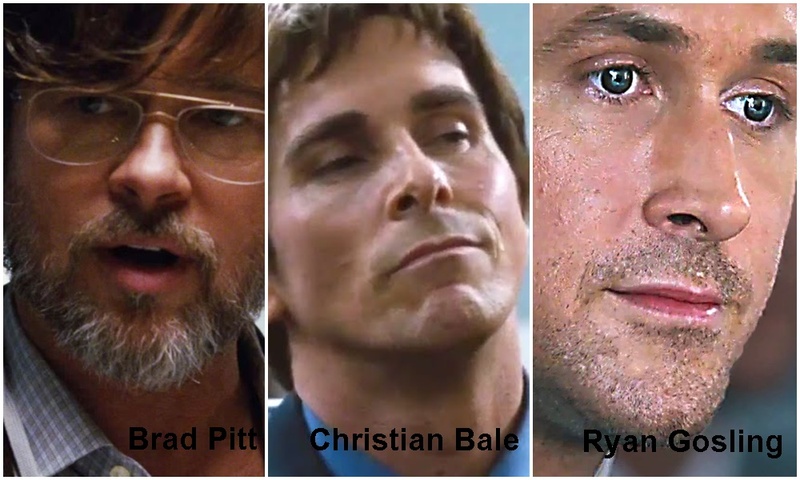 Based on the book The Big Short: Inside the Doomsday Machine by Michael Lewis (Moneyball: The Art of Winning an Unfair Game, The Blind Side: Evolution of a Game), the screenplay was written by Charles Randolph (Love & Other Drugs, The Interpreter) and director Adam McKay . 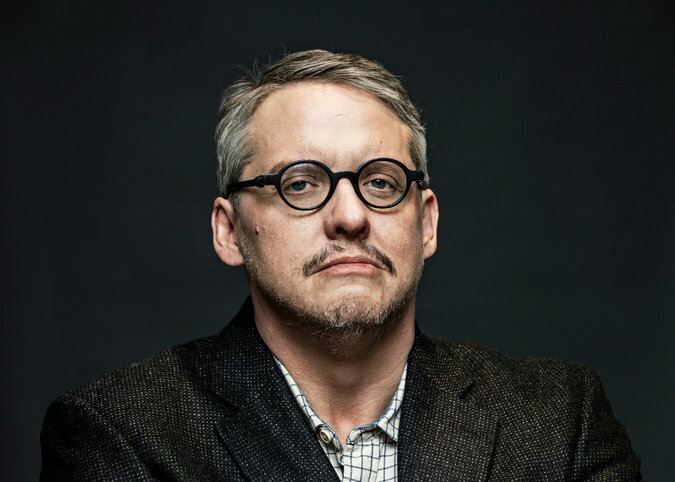 Adam Mckay (Director, Writer) has been behind several influential and successful films in his career. He also made a lasting mark on the comedy world as a founding member of the Upright Citizens Brigade comedy troupe and as head writer on the venerable comedy institution “Saturday Night Live,” where he met longtime producing and writing partner Will Ferrell. McKay and Ferrell have collaborated on several films including Step Brothers, Talladega Nights and The Other Guys. McKay’s partnership with Ferrell continued with McKay returning to co-write and direct Anchorman 2: The Legend Continues, the sequel to their cult classic Anchorman: The Legend of Ron Burgundy. McKay’s success extends beyond film. He is a frequent contributor on Huffington Post and has written for TV projects such as Michael Moore’s “The Awful Truth,” directed and produced HBO’s “Eastbound & Down,” and produced the Emmy-nominated series “Drunk History.” On Broadway, McKay directed the Tony Award®-nominated play “You’re Welcome America.” Along with Ferrell and Chris Henchy, McKay started the comedy website Funny or Die, which now gets more than 35 million hits each year. But five years ago when he read The Big Short: Inside the Doomsday Machine he became fascinated with a farce of a different kind. Intrigued by the mixture of comedy, drama, and outright tragedy in Michael Lewis’ brilliant behind-the-scenes look at the lead-up to the global economic meltdown, McKay yearned to take a break from absurdist comedies and bring The Big Short to the big screen. Brad Pitt’s production company, Plan B Entertainment, had in fact partnered with Paramount Pictures to develop The Big Short as a motion picture. Producer Jeremy Kleiner found striking similarities between the author’s approach to baseball and Wall Street within author Michael Lewis’ book Money Ball: The Art of Winning an Unfair Game. “Money Ball and The Big Short both look at familiar subjects that people think they undertand and ask big questions,” says Kleiner. Charles Randolph (Writer) is a screenwriter who has worked with many important filmmakers including Steven Spielberg, Martin Scorsese, Milos Forman and Ridley Scott. His feature writing credits include Ed Zwick’s Love and Other Drugs (2010), starring Jake Gyllenhaal and Anne Hathaway; Sydney Pollack’s The Interpreter (2005), with Sean Penn and Nicole Kidman; and Alan Parker’s The Life of David Gale (2003), starring Kevin Spacey, Laura Linney and Kate Winslet. Randolph is currently writing a Western for Michael Mann. 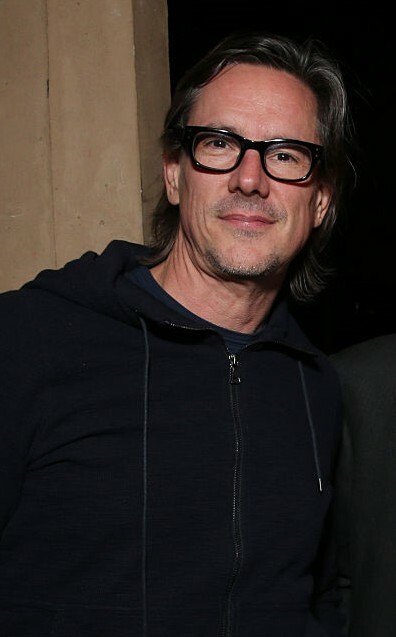 For television, Randolph wrote and was an executive producer on the HBO pilots “The Wonderful Maladys” (2010), a comedy, and “The Missionary” (2013), a drama. The writer lives in New York with his wife, actress Mili Avital, and their young children Benjamin and Fanny. After McKay finished directing the hit sequel Anchorman 2: The Legend Continues, his agent challenged him to name the movie he most wanted to make. The resulting screenplay incorporated McKay’s signature wit into a story about an era-defining moment in recent U.S. history. The book that got McKay and Plan B so excited about making a film about the events leading to the banking crisis comes from the mind of master non-fiction storyteller Michael Lewis. After working at a big Wall Street bank himself in the 1980s, Lewis wrote the bestseller Liar’s Poker, a funny and revealing look at the lucrative and deceptive world of bond trading. In search of answers, Lewis met with former investment bankers who’d lost their jobs after the meltdown. 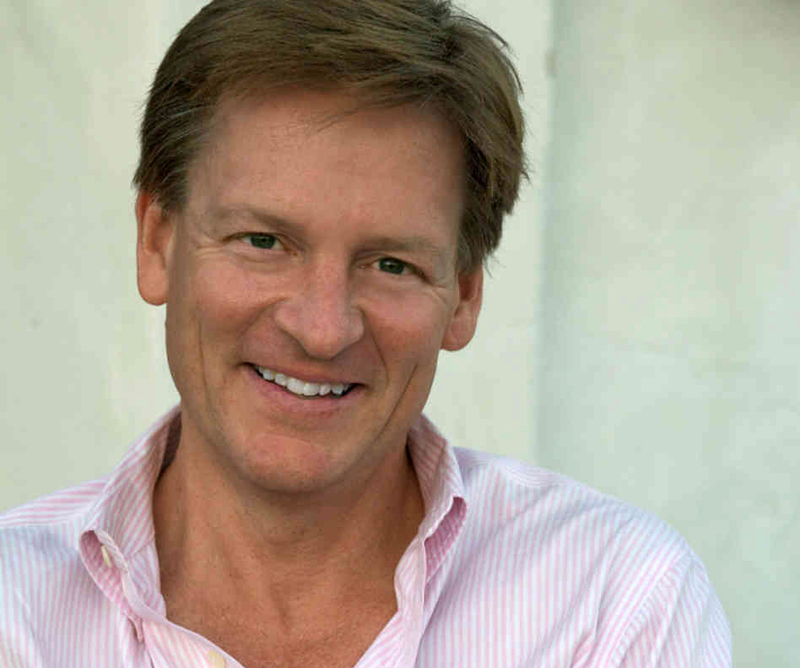 Michael Lewis (Author) has published many books on various subjects and all but one became New York Times best sellers. His most recent works are The Big Short: Inside the Doomsday Machine and Boomerang: Travels in the New Third World — both narratives set in the global financial crisis — and another, Flash Boys: A Wall Street Revolt, was published in April 2014. The Blind Side, published in 2006, tells the story of Michael Oher, a poor, illiterate African-American kid living on the streets of Memphis whose life is transformed when he is adopted by white Evangelical Christians. Previously, he wrote Moneyball: The Art of Winning an Unfair Game, a book ostensibly about baseball but also about the way markets value people. Both of these sports-themed books became films nominated for multiple Academy Awards. Lewis’ other works include The New New Thing, about Silicon Valley during the Internet boom; Coach: Lessons on the Game of Life, about the transformative powers of his own high school baseball coach; Losers, about the 1996 presidential campaign; and Liar’s Poker, a Wall Street story based in part on his own experience working as a bond salesman for Salomon Brothers. Lewis is a columnist for Bloomberg News and a contributing writer to Vanity Fair. His articles have also appeared in The New York Times Magazine, The New Yorker, Gourmet, Slate, Sports Illustrated, Foreign Affairs and Poetry magazine. He has served as editor and columnist for the British weekly The Spectator and as senior editor and campaign correspondent for The New Republic. Additionally, Lewis has filmed and narrated short pieces for ABC-TV’s “Nightline,” created and presented a four-part documentary on the social consequences of the Internet for the BBC, and recorded stories for the American public radio show “This American Life.” Lewis grew up in New Orleans and remains deeply interested and involved in the city. He holds a bachelor’s degree in art history from Princeton and a master’s degree in economics from the London School of Economics. He currently lives in Berkeley, California, with his wife, Tabitha Soren, and their three children Quinn, Dixie and Walker. In 2009 he published Home Game: An Accidental Guide to Fatherhood, about his attempts to raise kids. With its fresh, irreverent take on one of the most widely covered stories of the century, The Big Short transforms a dark chapter of American history into a riveting cautionary tale shot through with black humor and quirky characters.